Can my colleague use the stock photo i bought? Royalty free stock photos purchased under a company membership can be used by a colleague of the same company if the photo is for the same client . The key terms are same company, same client and royalty free. Royalty free photos can be purchased and used for multiple marketing and image needs in one campaign, poster, brochure, business cards, postcards. If there are multiple designers creating one image for a marketing campaign and the stock photo has an extended license, the stock photo can be handled by all of the designers in the company but only for the project the extended license was purchased for. The key terms here are not the number of designers who handle the stock photo but one time use for one project. Storing of photos on hard drives, cloud storage or for extended periods of time for multiple project uses. Sharing of stock photos between different client projects. Most importantly, a membership account cannot be shared with multiple users from different companies. If your company has a subscription or credit account with a stock photo agency, an employee from another company can not use this account. Multiple employees from within the same company can access through the company account. This is basic common sense for many people, especially those w ho are in the arts and understand the need for and legal issues surrounding copyright laws and licensing agreements. Copyright laws are used specifically to protect the intellectual, artistic and creative property of any person who creates original artist or design work. Patents protect inventions; copyrights protect artist/intellectual creations. Stock agencies own the copyright for the stock photos they offer on their websites as per their photographer/agency agreements. 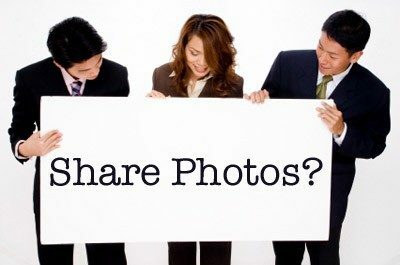 If in doubt, each stock agency outlines very clearly how to use and not use stock photos, how they can be shared, which licenses can be used for which projects, and the specifics for colleague sharing. Check this discussion on Royalty Free and Rights Managed stock photography use. Popular Photography Trends 2018: Discover the Most Trendy Images!